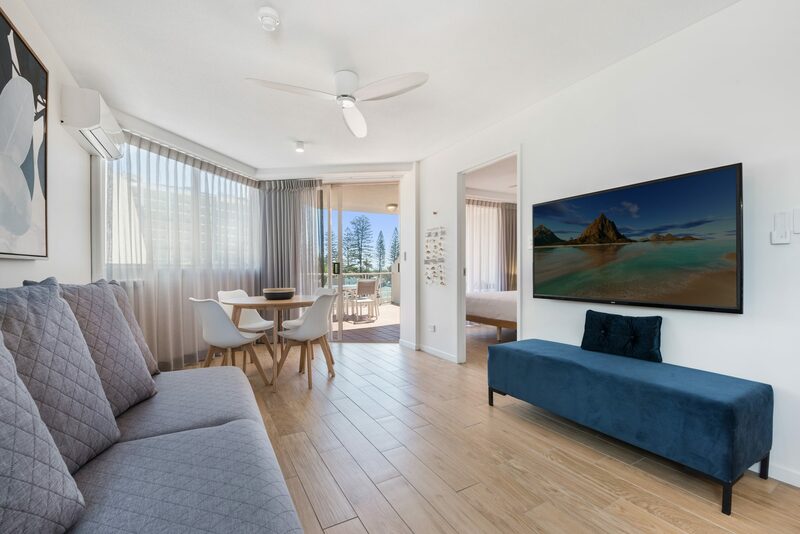 Sandcastles – Mooloolaba – Beach – RELAX! 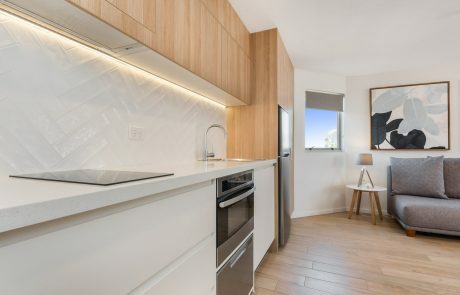 Come and stay in this stunning, newly renovated one-bedroom apartment just a few steps to Mooloolaba beach. It’s hard to find a better location. Park the car in the secure car park and walk to the beach, Surf Club, Restaurants, cafes, The Wharf Complex, Sea Life, retail shops and much, much more! This bright open plan apartment opens onto an oversized balcony to create seamless indoor/outdoor living, the perfect way to enjoy all that Mooloolaba has to offer. 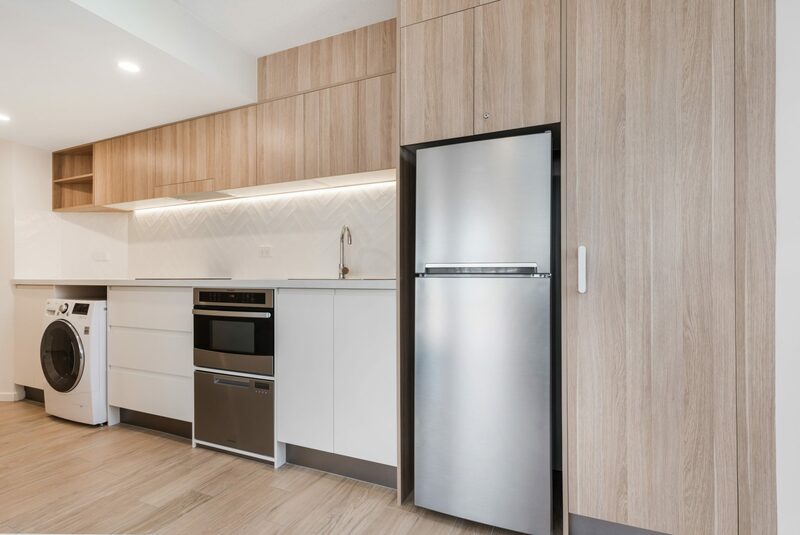 The well-appointed kitchen, with stone bench tops, plenty of storage, oven, dishwasher and washer/dryer make this apartment perfect for longer stays. 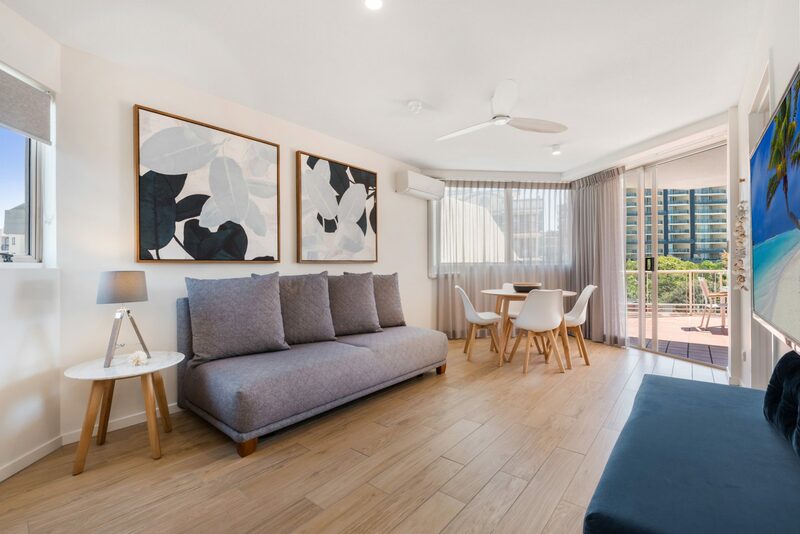 The lounge room had a custom-made sofa that converts to 2 full size single beds, or a Queen bed and a smart TV. 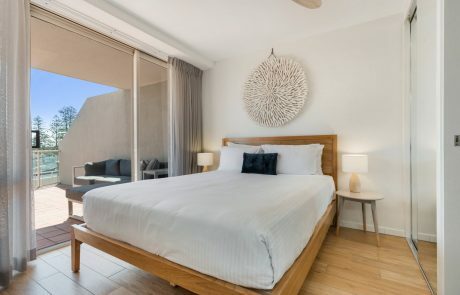 The light filled bedroom, which also opens to the balcony, has a queen size bed, built in’s, ceiling fan and second smart TV. 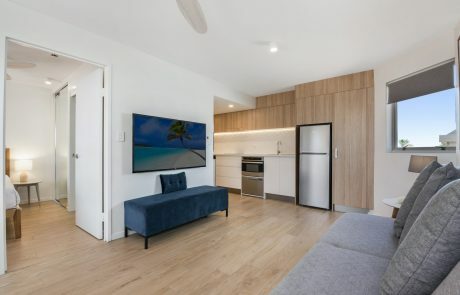 Guests will enjoy unlimited free downloads via the apartment’s private NBN connection. 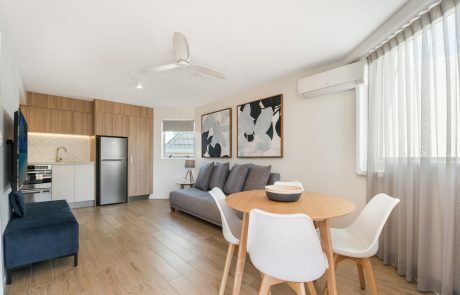 Come and experience this unique unit for your next holiday here at the Sunshine Coast. 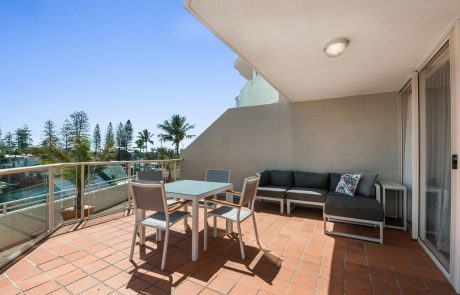 Mooloolaba Beach On Your Doorstep! 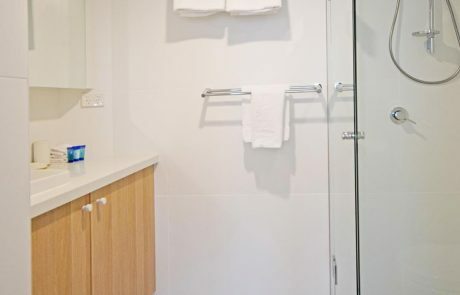 Save time and money on your next Sunshine Coast holiday! Sign up and we’ll send you our best deals. 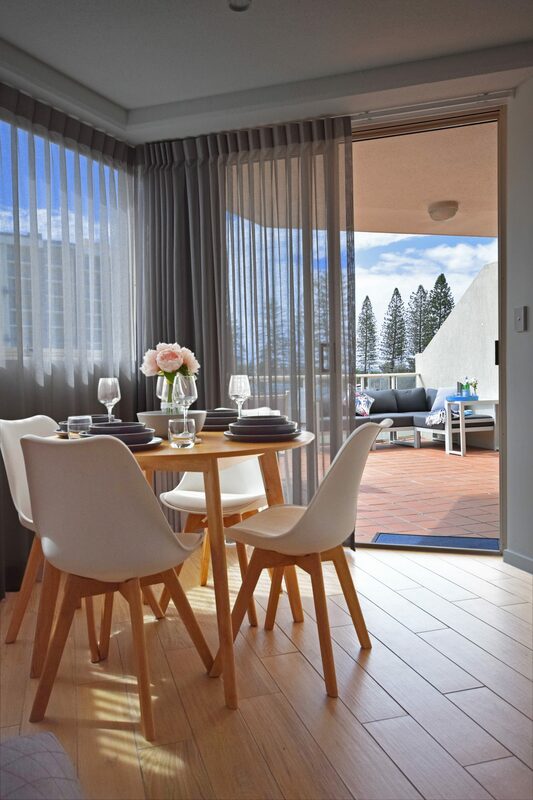 Holiday Mooloolaba has been assisting visitors to the Sunshine Coast with their accommodation needs for many years. Options ranging from river and beach view apartments to stunning homes. Our properties are situated in and around Mooloolaba, Maroochydore and Alexandra Headlands extending south to Point Cartwright and Oceanic Drive. 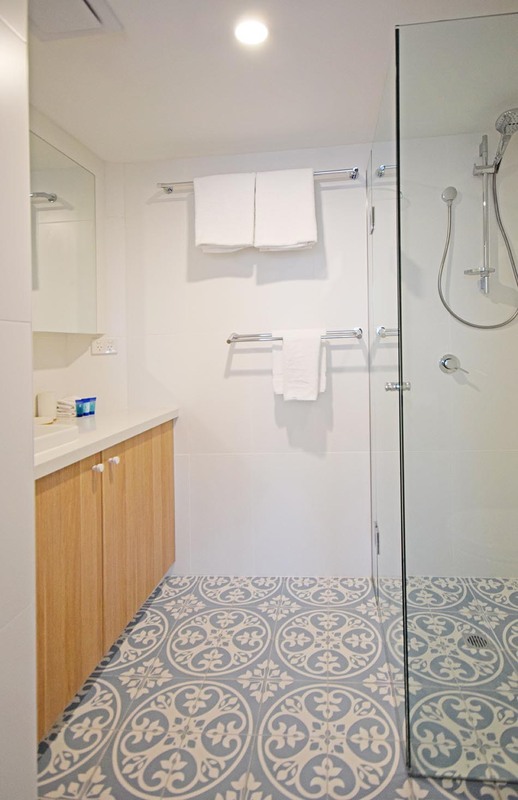 Our portfolio of properties caters for varying budgets. 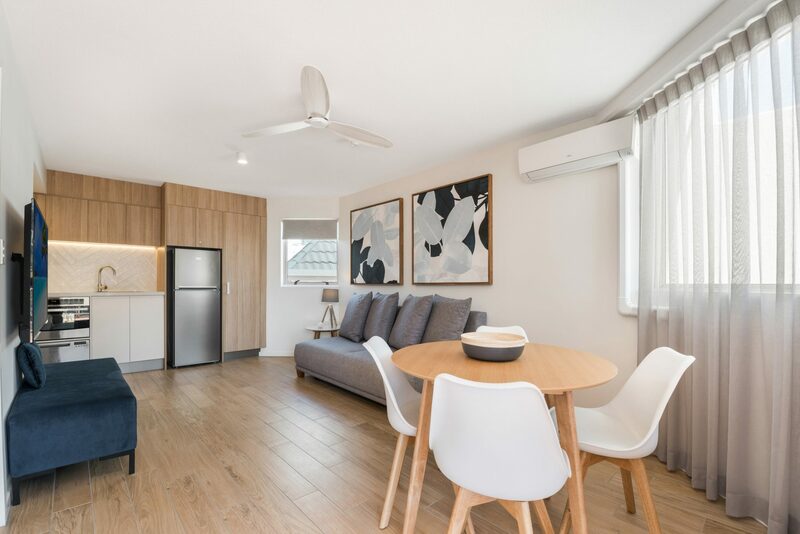 Our helpful, friendly staff will use their local knowledge to ensure your choice of accommodation allows you to enjoy all the superb holiday opportunities the Sunshine Coast has to offer. These can be booked by email, phone or please drop in to our office. 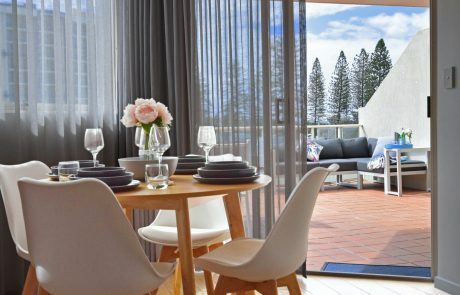 We look forward to having you as our guest on the Sunshine Coast! We love the Sunshine Coast. Tag your videos and photos of your holiday on the Sunshine Coast for your chance to be featured. 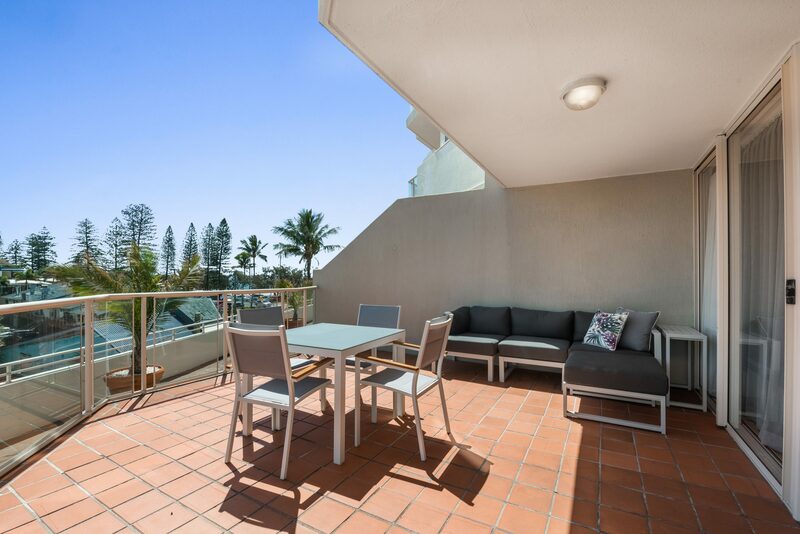 Ready to book your next holiday in Mooloolaba? 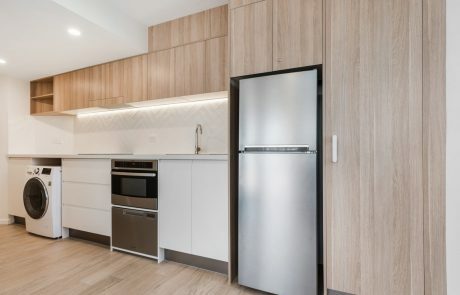 Call us today 1300 793 512.